These days, Nintendo Co. is involved in a big battle, but it is not against one of its competitors. Surprisingly, the game maker is battling against tech firms like Apple Inc. as they are after the same parts. According to people in the industry, Nintendo needs those parts for making its hit Switch machine. The company has informed assemblers and suppliers that by March 2018, it plans to make almost 20 million units of the Switch device. People familiar with the matter said that their official sales target is about 10 million units, but the popularity of the device indicates they may end up selling more, provided they are able to make them. The major obstacle for the gaming company is the capacity shortage industry-wide for components that are used in the manufacturing of computer servers, smartphones and other digital devices. Some of these components include liquid-crystal displays, NAND flash-memory chips as well as the tiny motors that are used in the hand-held controllers of the Switch device for imitating the feel of an ice cube when it is shaken in a glass. Toshiba Corp, one of the suppliers of these components is currently struggling and the industrial giant is relying on flash memory drive for its survival. A spokeswoman for the company said that the demand for their NAND flash drivers is considerably greater than before and it is expected to stay the same for the rest of the year. She said that the reason for this demand was mostly smartphone makers like Apple Inc., data centers and also some Chinese companies, which are its clients. Experts in the industry have said that the demand for computer servers using flash memory has risen primarily due to the rapid expansion and development of web-based services for corporations. The part makers are currently operating at full capacity due to the demand of the iPhone 7. Furthermore, a new model is also expected to be launched later this year for the 10th anniversary of the company. The demand for these components has assisted Japan economy in enjoying its longest growth streak after 2006. Nintendo’s new game console has gone off to a great start since it was launched in the US in March. This came as a major surprise for both analysts and investors because it was expected that prices would dampen sales of the device. 906,000 units of the device were sold in March alone. On March 3rd, the handheld-hybrid system was launched worldwide. The GameCube by Nintendo was the previous record holder for launch sales within the US and the company sold about 660,000 units in November 2001. In contrast, the most popular device of the company, the Wii, only sold 470,000 units when it was launched in November 2006. The largest global market for Nintendo is the US as it drives around 40% of the game maker’s annual revenue. 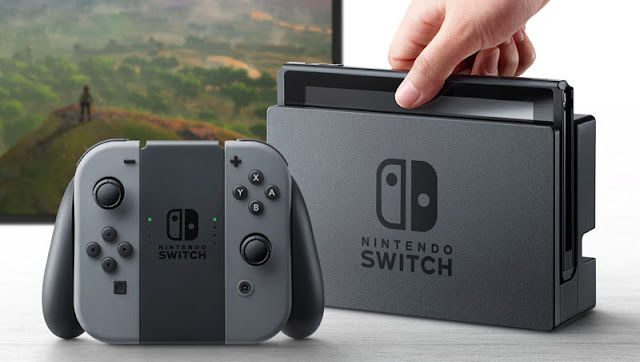 Therefore, Nintendo needs to manufacture enough Switch devices to meet demand as this new handheld system can aid it in boosting sales and profits.